That no matter how nervous you are on the first tee, you probably won’t hit a worse opening shot at Pebble Beach than Jack Lemmon did? That Frank Sinatra was banned from The Lodge? 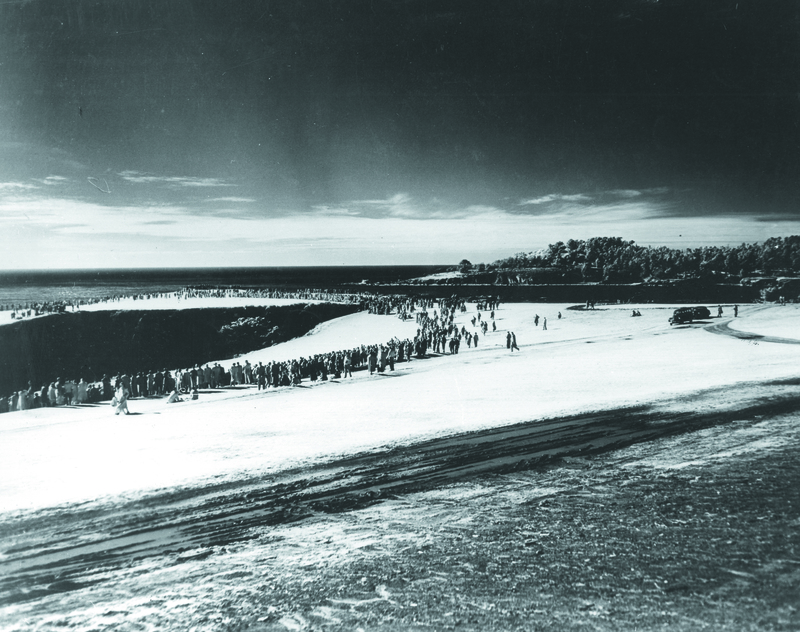 That a PGA TOUR event was once played in snow? 76. 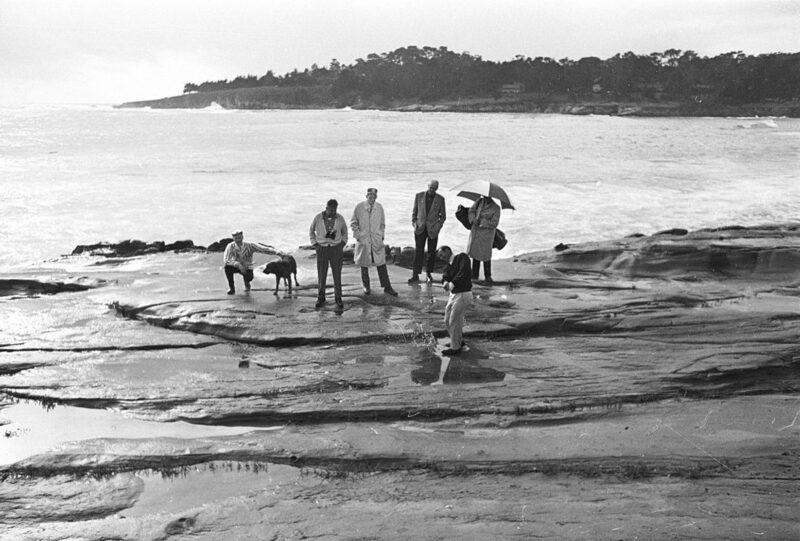 THE LAST SIX PRESIDENTS HAVE VISITED PEBBLE BEACH. Three Presidents have even played in the AT&T Pebble Beach Pro-Am: Gerald Ford, George H.W. Bush and Donald Trump — who made a hole-in-one on No. 12 at Spyglass Hill in 1993. 77. JACK LEMMON ONCE HIT A TEE SHOT ON THE FIRST HOLE INTO HIS OWN ROOM. The screaming shank startled his wife, who was showering in the Lodge guest room when she heard the ball crash against the wall. Lemmon famously said he would trade an Oscar to make the cut at the AT&T Pebble Beach Pro-Am. Even though his longtime partner Peter Jacobsen won the event in 1995, Lemmon never made it to Sunday. 78. RINGO STARR VISITED PEBBLE BEACH THE DAY AFTER THE BEATLES PLAYED THEIR FINAL PUBLIC CONCERT AT CANDLESTICK PARK. 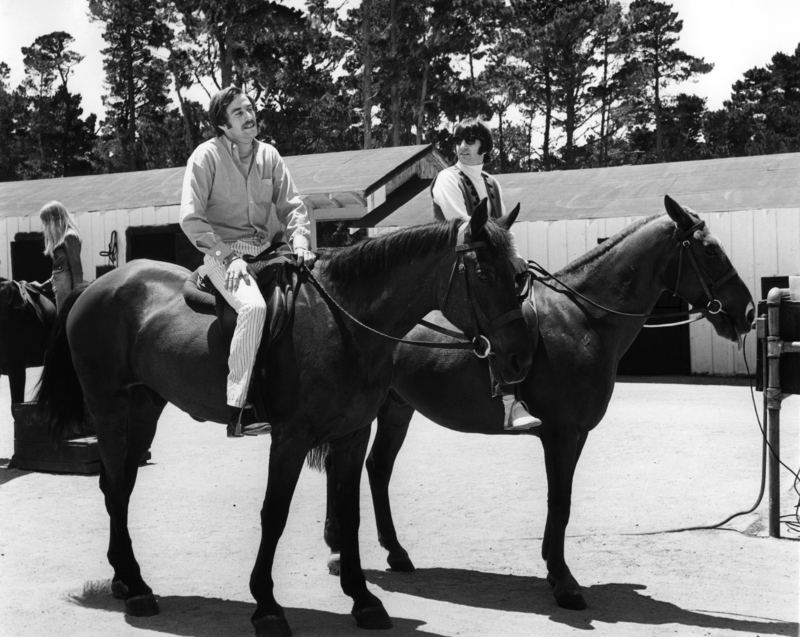 This photo shows Ringo with road manager Eric Storey at the Pebble Beach Equestrian Center before taking off on a trail ride through the Del Monte Forest on Aug. 30, 1966. 80. THE 1947 BING CROSBY PRO-AM WAS THE FIRST PGA TOUR EVENT HOSTED ON MULTIPLE COURSES. Crosby was a member at Cypress Point, but loved Pebble Beach and Monterey Peninsula, so he insisted that the tournament should include one round on each course. It became a four-round tournament in 1958. 81. ARNOLD PALMER OWNED PEBBLE BEACH, BUT HE COULDN’T BUY A WIN HERE. The King collected six Top 10 finishes at Pebble Beach, including a second in the 1966 Crosby and third in the 1972 U.S. Open. But even though he amassed seven Majors and 62 PGA TOUR victories, Palmer never captured a title at Pebble Beach. “I would have loved to have won an Open at Pebble Beach, which I thought I was going to do,” Palmer told Golf Digest in 2000. 84. 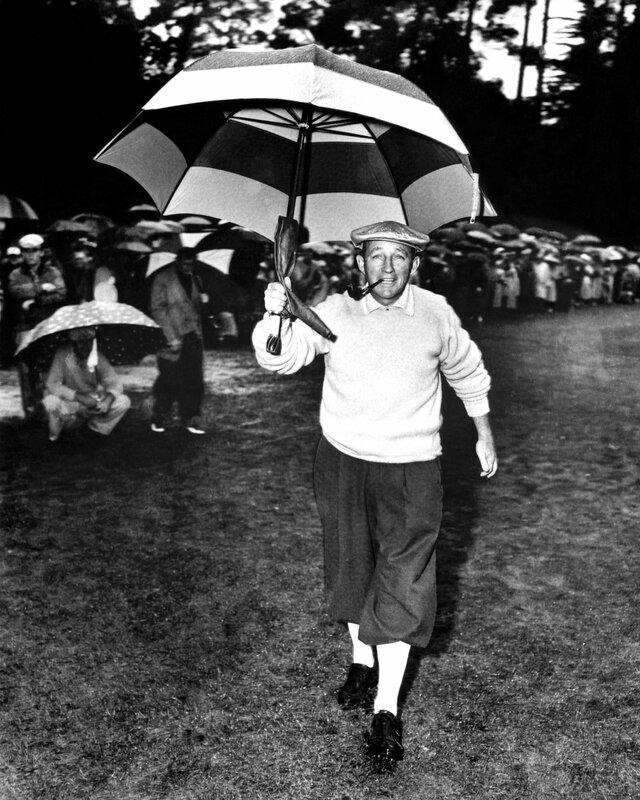 THE BING CROSBY PRO-AM WAS ONCE POSTPONED BY SNOW. 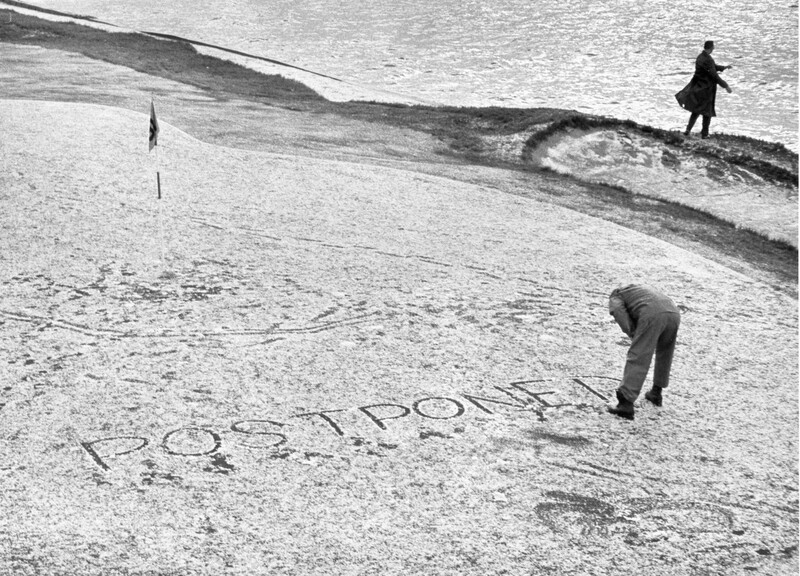 The start of the final round in 1962 was delayed by an incredibly rare snow storm. Jimmy Demaret, who won in the tournament in 1952, quipped: “I know I got loaded last night, but how the hell did I end up in Squaw Valley?” Arnold Palmer was also caught on camera hurling snowballs. 85. THE TOURNAMENT WAS COMPLETED THE NEXT DAY — WITH SNOW STILL ON THE GROUND. Not surprisingly, the tournament winning total of 2-under 286 tied for the highest score ever. In fact, three of the five U.S. Open winners at Pebble Beach have posted better scores. 86. CLINT EASTWOOD BLAMED TOURNAMENT SNUBS ON BING CROSBY’S COWBOY BIAS. Clint Eastwood made his debut in the 1963 Pro-Am. Eastwood joked it took him so long to get an invite because Crosby might not like cowboys. But Eastwood’s invitation that year included a note from Crosby that read: “P.S. By the way, I do like cowboys.” Eastwood is still involved in the tournament to this day, serving as the Chair of the Monterey Peninsula Foundation Board of Directors. 87. BING CROSBY BET JACK NICKLAUS…AND PREDICTABLY LOST. Bing Crosby was so proud to add Spyglass Hill to the 1967 Pro-Am rotation that he was willing to wager that Jack Nicklaus wouldn’t be able to break par in his first round there. Nicklaus shot a 2-under 70, and framed a signed $5 bill from Crosby as a souvenir. Nicklaus also won the tournament that year by five strokes. 88. TIGER WOODS WAS UNSTOPPABLE AT PEBBLE BEACH IN 2000. With a PGA TOUR winning streak of five straight tournaments on the line, Woods roared back from seven strokes down with seven holes to go at the 2000 AT&T Pebble Beach Pro-Am, fueled by a final-round 64, to somehow pull out his sixth victory in a row. His most brilliant shot came on the 15th hole, when he blasted his drive to 97 yards out, and dramatically backed up a sand wedge into the hole for an eagle-2. 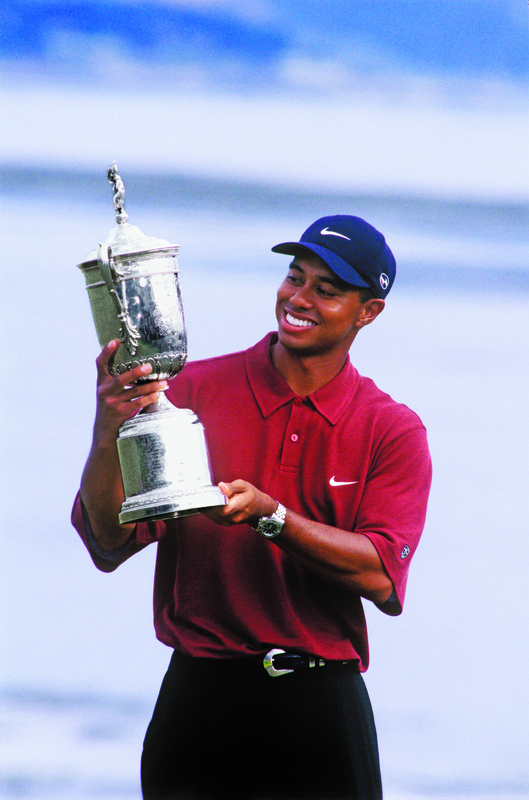 Four months later, Woods returned to light up Pebble Beach with his historic 15-shot win at the 2000 U.S. Open. 89. BEFORE BETTY JAMESON WENT ON TO CO-FOUND THE LPGA TOUR, SHE WON THE U.S. WOMEN’S AMATEUR AT PEBBLE BEACH. One of 13 original founders of the LPGA Tour and a World Golf Hall of Famer, Betty Jameson won her second straight U.S. Women’s Amateur in 1940, the first time the event came to Pebble Beach. It was also the first time Pebble Beach was captured in color. 90. THE LPGA PLAYED AT PEBBLE BEACH DURING ITS FIRST TWO SEASONS OF EXISTENCE. The inaugural LPGA Tour season in 1950 included three Majors and 15 tournaments. The third tournament of the year was held at Pebble Beach, under a unique concept. There were four tournaments in the Weathervane series — all played in consecutive weeks across the country. A champion was crowned after each 36 holes (earning $750), but scores also carried over to the next tournament. A 144-hole champion was crowned as well, winning $5,000 — or four times more than what the U.S. Women’s Open champion took home. 91. PEBBLE BEACH’S GREATEST CHAMPIONS INCLUDE NICKLAUS, WOODS, WATSON…AND ZAHARIAS AND BERG. Transcendent talent Babe Didrikson Zaharias won both the Pebble Beach Weathervane Championship and the 144-hole title in 1950 during a historic season that included all three Majors and six victories. Zaharias was an other-worldly athlete who previously won gold medals in the 80-meter hurdles and the javelin at the 1932 Olympics — before picking up golf. The Associated Press ultimately recognized Zaharias as its “Woman Athlete of the 20th Century.” Zaharias is also the only woman to make the cut in a PGA TOUR event. 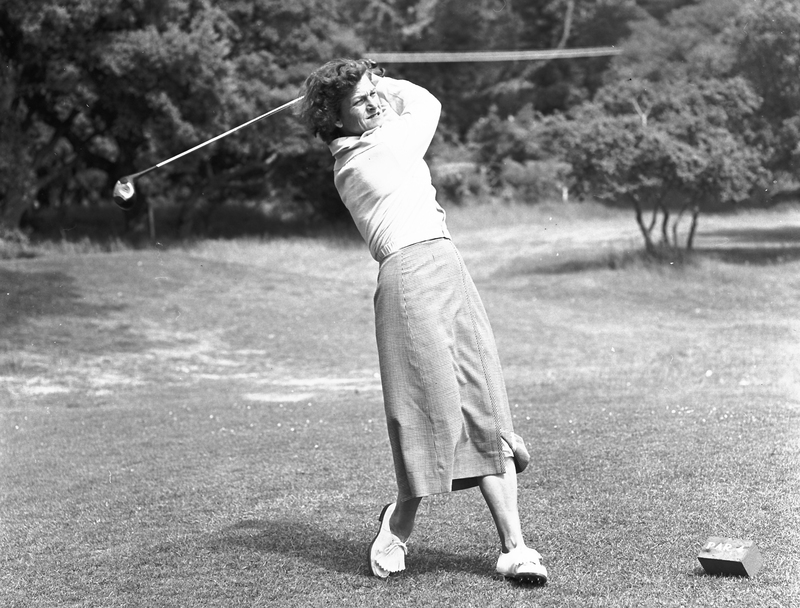 Patty Berg won at Pebble Beach and claimed the 144-hole championship in 1951. Berg, a founding member of the LPGA Tour along with Zaharias and Jameson, finished her career with a record 15 Majors. 92. THE TAYLORMADE PEBBLE BEACH INVITATIONAL PRESENTED BY DELL TECHNOLOGIES IS THE ONLY TIME PROS FROM THE PGA, LPGA, CHAMPIONS AND WEB.COM TOURS PLAY EACH OTHER. Pebble Beach, Spyglass Hill and Spanish Bay are uniquely set up so that the men, women and seniors are hitting virtually the same club into every green. The PGA TOUR and Web.com tour average driving distance is roughly 295 yards, while the PGA TOUR Champions is 275 yards, and the LPGA Tour is 255 yards. So at Pebble Beach, it is projected that the men, seniors and women will hit between nine and 10 wedges for approach shots, have woods into three of the four par-5s, and face three mid-iron approaches. 93. JULI INKSTER IS THE ONLY LPGA TOUR PLAYER TO WIN THE EVENT. 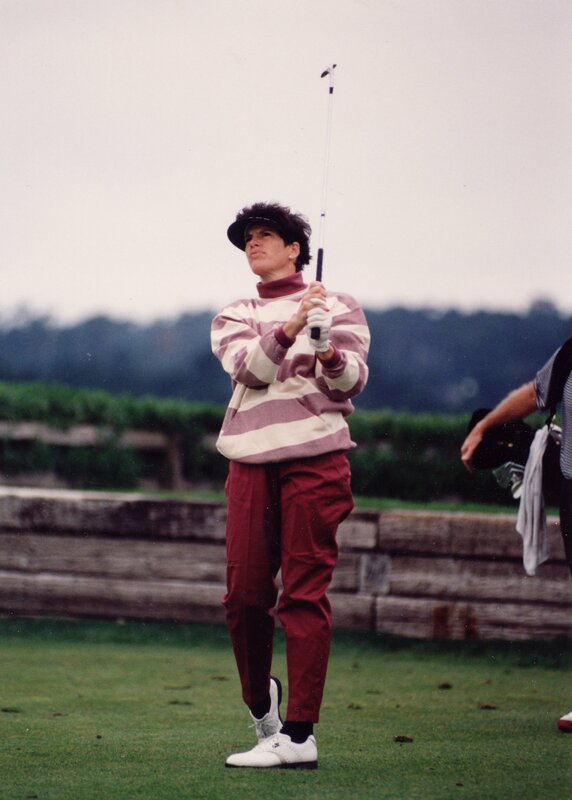 World Golf Hall of Famer Juli Inkster edged Major champion Mark Brooks in 1990. Inskter is no stranger to Pebble Beach, also winning the 1981 California Women’s Amateur here. 95. 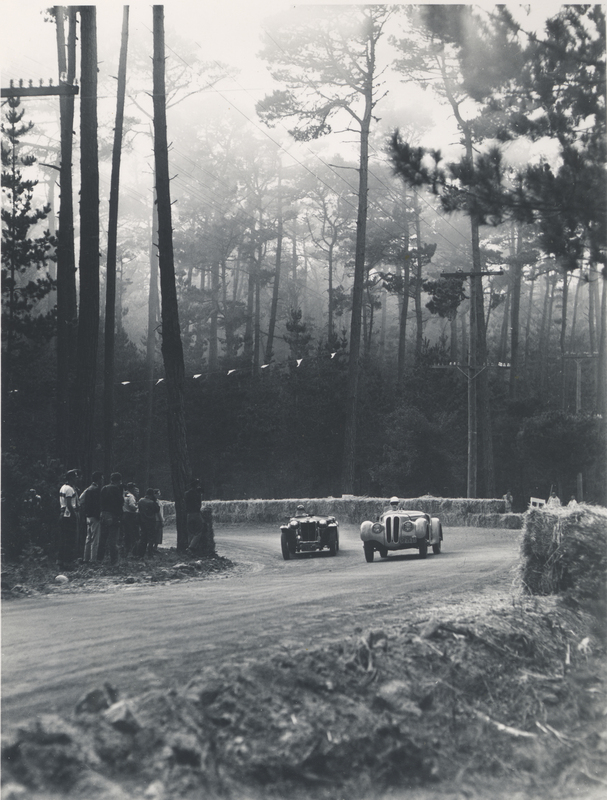 THERE USED TO BE A ROAD RACE THROUGH PEBBLE BEACH. The Pebble Beach Concours d’Elegance was founded in 1950 to complement an exhilarating road race through Pebble Beach. The road race attracted 50,000 fans, but left the tree-lined course after a fatal crash in 1956. Racing moved to the newly built Laguna Seca Raceway in Monterey, turning the Concours into a stand-alone event. 96. 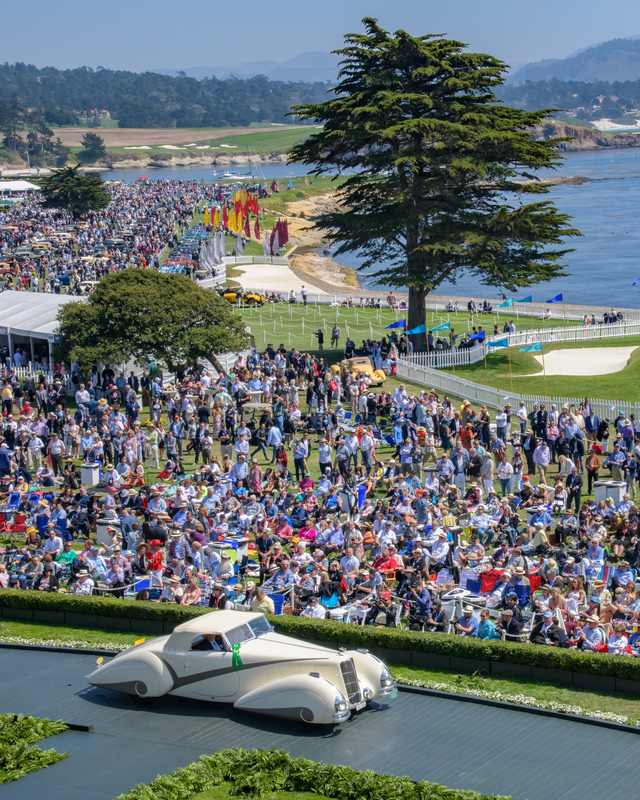 PEBBLE BEACH GOLF LINKS IS CLOSED ONE DAY EVERY YEAR — FOR THE CONCOURS D’ELEGANCE. On the third Sunday of every August, more than 200 of the world’s finest collector cars representing 30 difference classes line the first and 18th fairways, and well as the 17th hole at the practice putting green. Entries are by invitation only, and a car can only compete once every 10 years. 97. LPGA MAJOR CHAMPION PAULA CREAMER COMPETED IN THE INAUGURAL FIRST TEE OPEN IN 2004 AS A JUNIOR. The innovative event pairs PGA TOUR Champions players with First Tee juniors. The year after Creamer competed, she won twice on the LPGA Tour and earned more than $1.5 million. Scott Langley, who won the 2006 First Tee Open, held a share of the 36-hole lead at this year’s AT&T Pebble Beach Pro-Am before finishing sixth. He’s still searching for his first win. 98. THE GREATEST SHOT EVER HIT ON THE 18TH HOLE WAS PLAYED BY A TEENAGER. Junior golfer Christopher Meyers is believed to be the first player to make an albatross in competition on the 18th hole at Pebble Beach, making this walk-off shot to win the team title of the 2014 Nature Valley First Tee Open. 99. PEBBLE BEACH HOSTED THE TOUR CHAMPIONSHIP IN 1988. From 1987 to 2006, the top 30 money leaders were invited to a season-ending event that moved around to different sites each year. 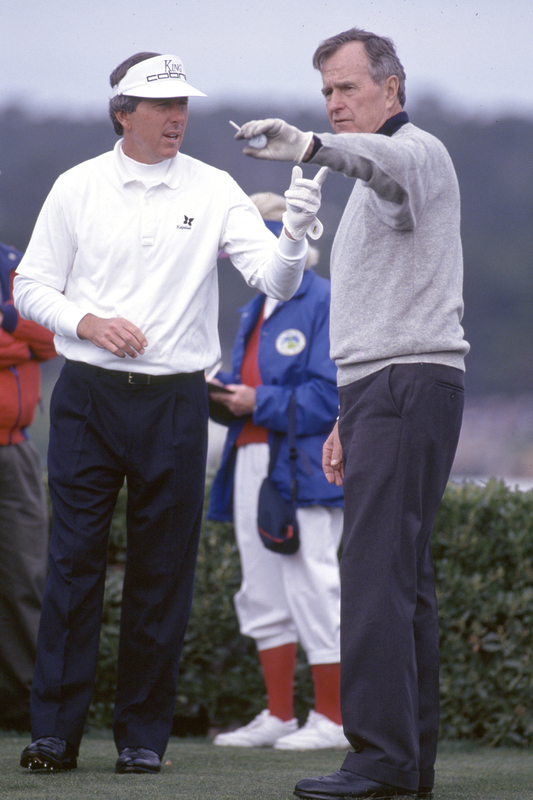 In 1988, Curtis Strange beat Tom Kite in a playoff to capture the richest prize in the game. Kite would capture an even bigger title at Pebble Beach four years later. 100. THERE USED TO BE A DEL MONTE KENNEL CLUB DOG SHOW AT PEBBLE BEACH. 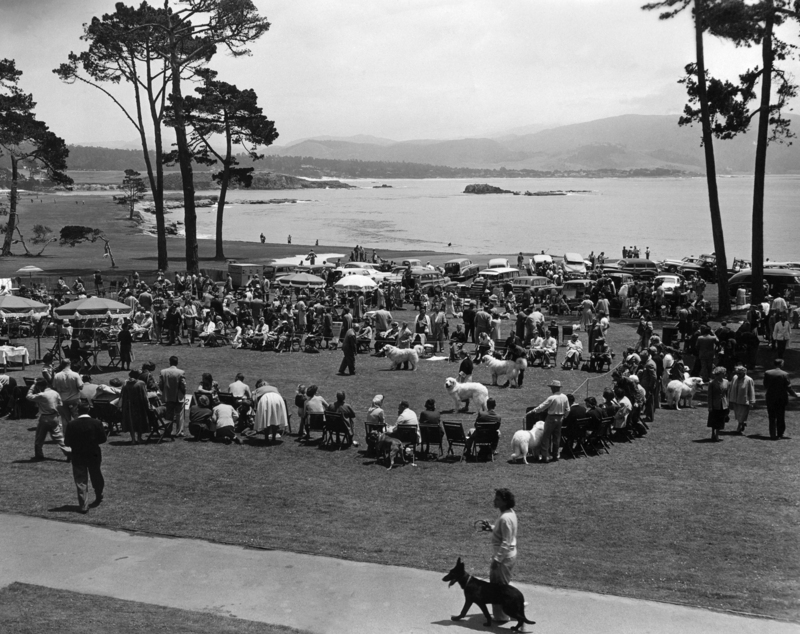 After World War II, a dog show awarding Best of Class and Best of Show was held on the 18th Lawn at Pebble Beach. At the polo field, working-class dogs participated in sheep-herding competitions.